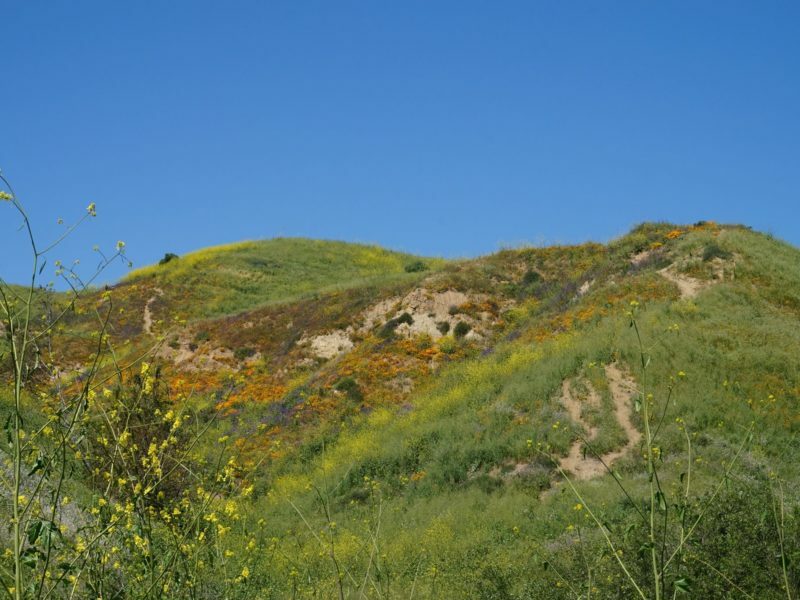 Chino Hills State Park has a large trail system, with several peaks. 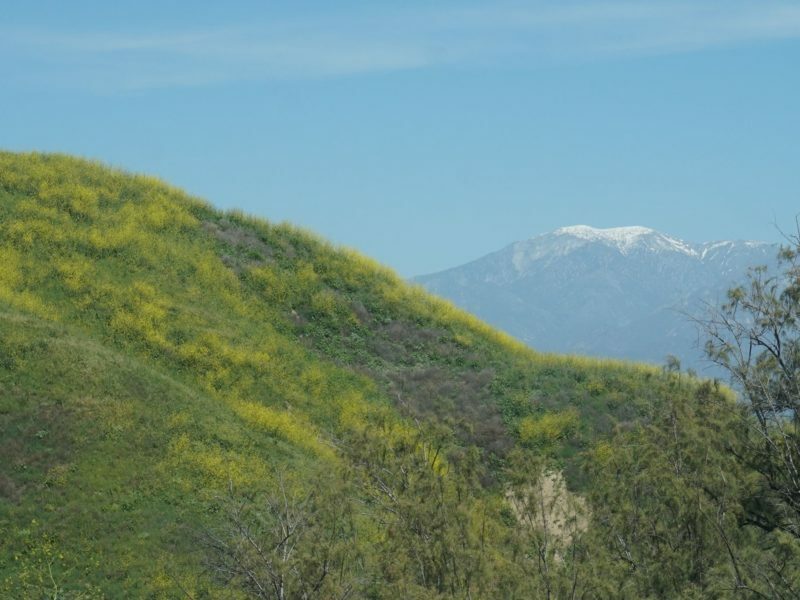 It is also known for gorgeous purple, orange, and yellow flowers during Super Bloom years (when there is a heavy rainfall and an extraordinary number of flowers). 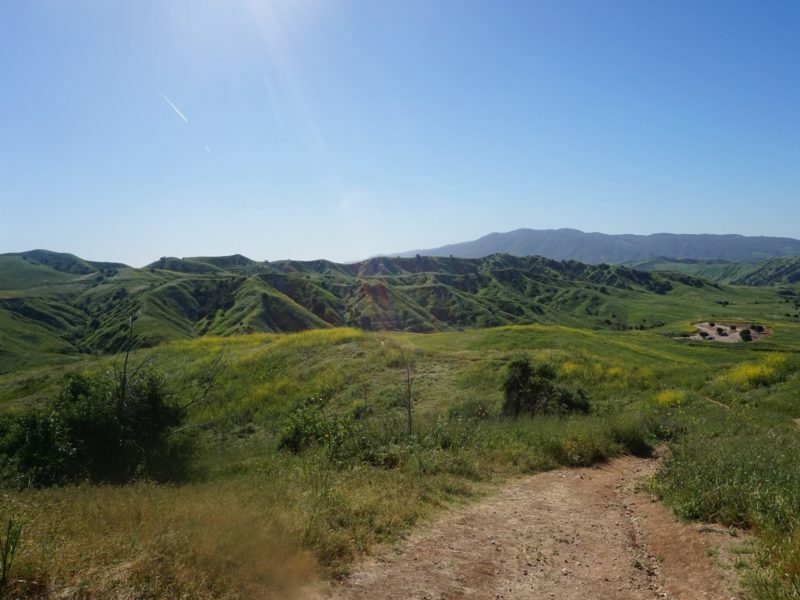 Bane Ridge is one of the better trails to experience what Chino Hills has to offer. 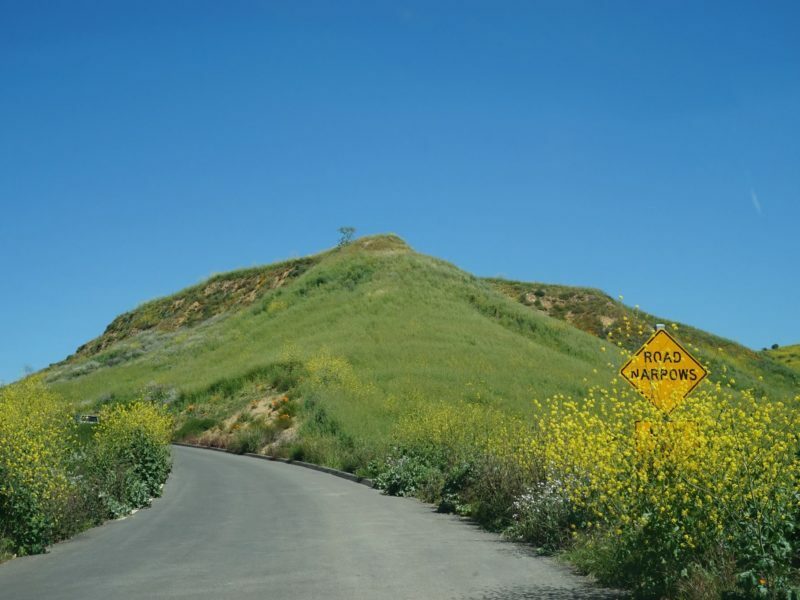 After entering the park, follow Bane Canyon Rd until just after it merges into Telegraph Canyon Rd/ a large right turn. Follow the dirt road on the right into a large dirt staging area. The trailhead is at far end of the parking lot. Follow Upper Bane Ridge down through the valley and over hills for as long as you like and return the same way. It does connect to other trails and can be made into a longer loop. Beautiful rollings hills. 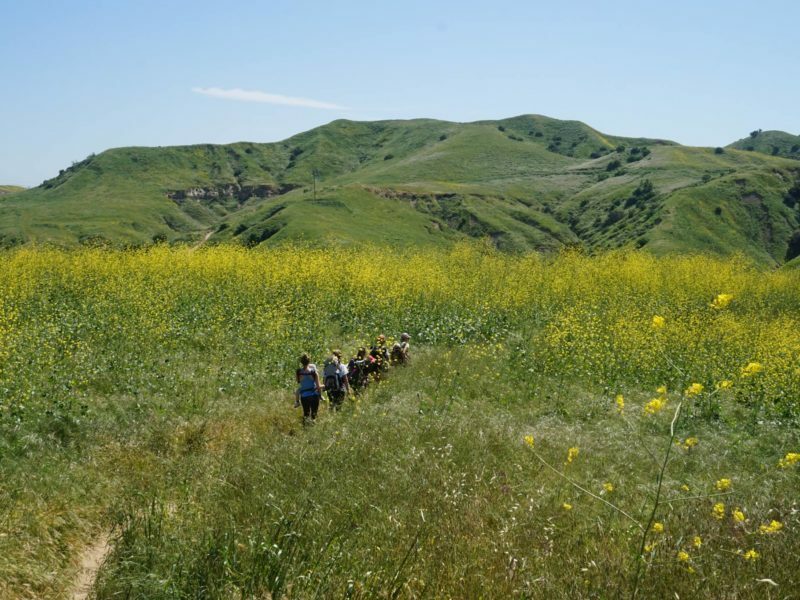 This is one of the premier Southern California hikes to do during a Super Bloom year. Entrance fee $5 per vehicle. From the CA 71 Fwy, drive westbound on Soquel Canyon Pkwy. Turn left on Elinvar, and another left onto Sapphire Rd. The driveway/entrance to Bane Canyon Rd will be on your right.